ADOM AQUATICS is a swim school in Parys, Free State that offers personalised swim lessons for Adults and children older than 3 years. 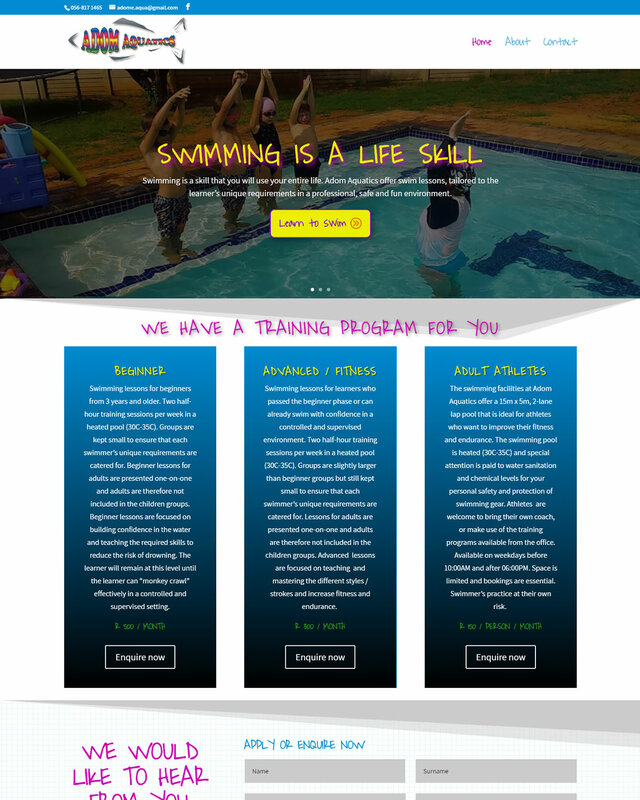 ADOM AQUATICS was established in 2016 after which they contracted SES WEB to develop and design a website for their swim school. 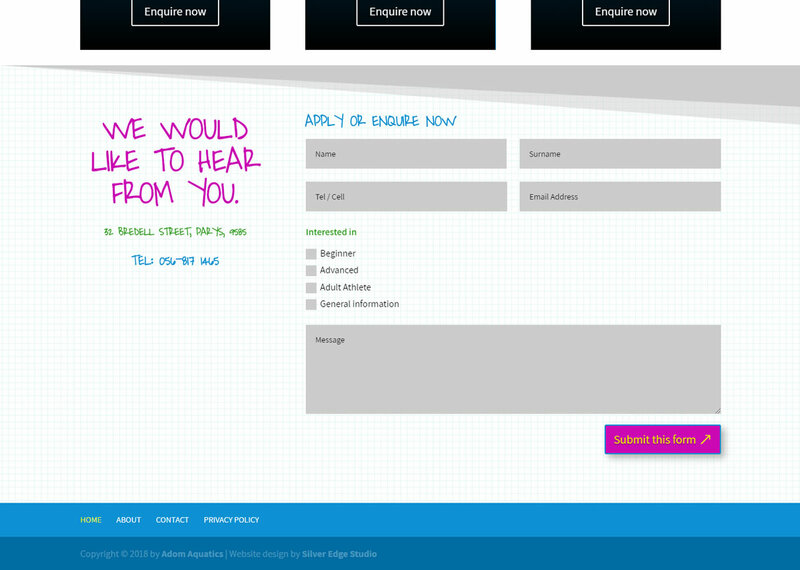 Potential clients can view the different trinaing packages and submit their enquiries and registration applications on-line. We opted for WordPress CMS and a responsive theme for this playful and fun website. SES WEB also designed a new logo for this swim school, combining the divine inspiration behind the name that translates to “gift from God” and the dual meaning of the fish that symbolises both the agility of a fish in water and Christian fellowship.